People with a spinal cord injury may find they need a little extra support when returning to the workforce after sustaining an injury. People with a spinal cord injury may choose to return to their previous career, or decide to transition to a new role. Either way, the biggest change is often in the workplace, with reasonable adjustments and workplace modifications going a long way to enabling people with a spinal cord injury to succeed. The following tips and strategies enable people with a spinal cord injury and their employers to ensure that the workplace is inclusive of employees with a spinal cord injury. At EPIC we offer a holistic employment service to help people with a spinal cord injury achieve their employment goals. If you would like to chat about your individual goals please get in touch with us today. After sustaining a spinal cord injury, people many take the time to consider their career options and may choose to move to a new industry. Others may choose to stay in their current job and make changes to ensure the workplace is set up for their success. Either way being in the right physical and mental state is essential when entering the workforce for people with a spinal cord injury. EPIC helps job seekers prepare for meaningful, lasting employment. For those looking to start a new career it is important to create clear objectives across all stages of the employment journey. People with a spinal cord injury may find it beneficial to sit down with a friend, family member, or employment specialist to write a list of their goals and ways in which they can achieve them. Having a clear job plan is a great way to bring purpose, structure and satisfaction to the job search process. Workplace arrangements are also an important consideration when entering the workforce. People with a spinal cord injury should consider if they would prefer to work full-time, part-time or on a casual roster. Deciding on the correct workplace structure can help workplace burnout and strain, and lead to meaningful and sustainable employment. At EPIC Assist, we understand that everyone is different. We offer a personalised service to people with spinal cord injury and provide the support they need to prepare for the right role. Job interviews are a great opportunity to showcase people’s talents, abilities and knowledge. It is important for people with a spinal cord injury to be confident and understand that they have been chosen for a job interview based on their experience and capabilities for the role. People with a spinal cord injury may choose to advise a prospective employer of their disability prior to the interview, to ensure the interview is held in an accessible space. Of course, it is up to the person with a spinal injury if they choose not to tell the employer about their disability prior to the interview. 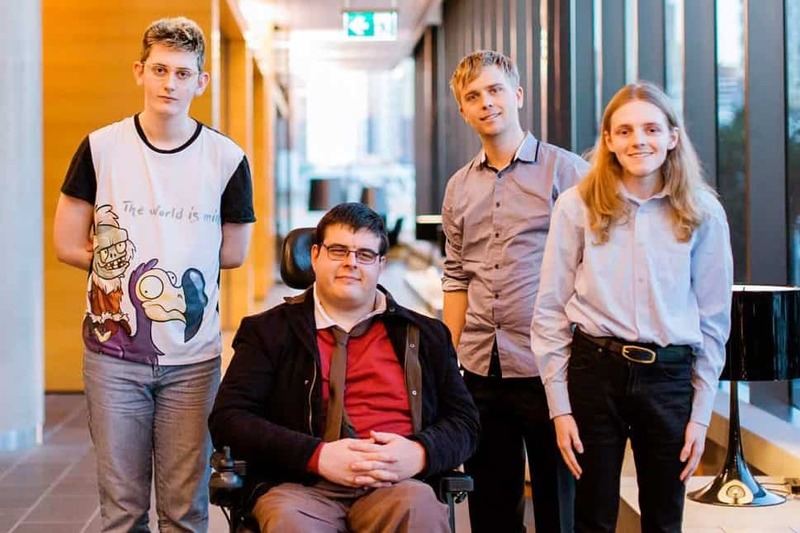 In the interview it can help if a person with a spinal cord injury addresses their accessibility needs in the workplace by offering possible solutions, such as workplace modifications or accessible public transport options. It is important for people with a spinal cord injury to be aware that there are things that an interviewer can and can’t ask during the interview. how you will complete certain job tasks. questions that are relevant to knowledge, skills, and abilities that pertain to the job. if a person can or can’t complete a job with or without accommodations. cost of accommodations, in which case JobAccess can be a great resource to refer them to. Interviewers cannot ask a person with a spinal injury personal questions about their (or a family member’s) disability. Remember, people with a spinal cord injury are not required to answer any questions that make them feel uncomfortable. At EPIC, we understand that job interviews can be a stressful time in people’s lives. That’s why we offer a number of different services to help mentor and support our job seekers through the interview stage of their employment journey. Before beginning a new job or returning to the workforce it is important for a workplace to be fully accessible to a person with a spinal cord injury. This can be a good stage for the person with a spinal injury to engage with a Disability Employment Service provider such as EPIC. We can help assess workplaces to ensure the correct supports are put in place to enable people with a spinal cord injury to thrive in the workplace. The type of workplace modifications (if any) that an employee with a spinal cord injury may need will depend on the individual’s level of injury, the physical requirements of the job and the work environment. People with disability are the experts in their own needs, and will often be able to identify what they need to succeed in their role. Accommodations are usually inexpensive, and there are many government grants that can help employers cover costs. There are many easy ways to fix common barriers at work for people with spinal cord injuries. If a person’s desk is too low for wheelchair access, try removing centre desk drawers, safely raising the desk using secure and stable structures, or purchase an adjustable desk. Many people with spinal cord injuries have limited hand and arm movement. If the person is finding it difficult to hold a desk phone, a speaker phone or phone headset can be great options. ensure an accessible carpark is located near your premises. You may need to contact the council to arrange this. replace heavy doors with power doors. At EPIC, we provide personal ongoing support for as long as our job seekers need us – that could be a week, a month or a year. We don’t just find people a job, we make sure they have the tools and training needed to be successful in their role for the long-term. We help support people with a spinal cord injury find and maintain employment where they will thrive. With a little support, people with a spinal cord injury can have long and meaningful employment and offer a host of benefits to any organisation. Give us a call today to discuss how EPIC can help you.